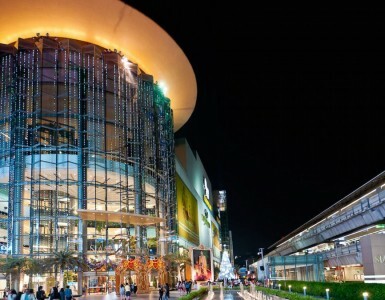 The Platinum Fashion Mall is THE largest wholesale and retail fashion destination in Thailand with over 2000 shops dedicated to clothes, shoes, bags, accessories and more. It has everything that you are looking for! Whether it be the latest trends of clothes, handbags, shoes or accessories, there is so much to choose from that all shoppers of all ages and genders will never get bored. Besides the many shopping opportunities, there is a variety of food available in the food court on the 6th floor, along with restaurants and cafes to choose from. Be it local or international food, you can find it all here! What’s more, a special bonus for hotel guests is that The Platinum Fashion Mall can also be easily reached from Novotel Bangkok Platinum Pratunam. Just take the escalator at the hotel’s lobby on 6th floor down to the 5th floor of The Platinum Fashion Mall. No need to brave the elements and it doesn’t get more convenient than this! 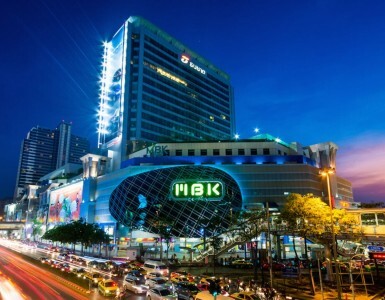 Apart from shopping inside the Platinum Fashion Mall, you can also continue your shopping trip at night in front of it. After the mall closes, there are frequent events happening in front of the mall with many stalls selling fashionable clothes, accessories, bags, shoes and food. Live music is also available and provides great vibes while enjoying shopping. What a chill night! Moreover, the location of The Platinum Fashion Mall is perfect. 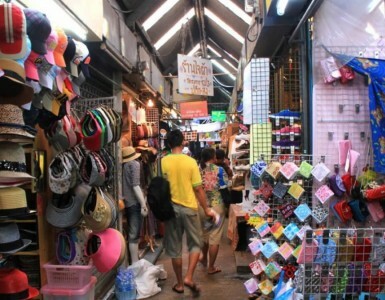 Located in the heart of Bangkok, it can be easily reached by several modes of transportation. You can take a taxi or public bus or just take a BTS skytrain to Siam or Chidlom station and a few minutes walk to the mall. Another convenient way is to take an express ferry to Pratunam pier. It’s less than 5 minutes away!